Before hosting the 1964 Summer Olympic Games, Tokyo carried out an unprecedented upgrade of its transportation system that gave the capital a bullet train system, elevated highways and a monorail connecting the city with Haneda airport. Giving a similar boost to the infrastructure before the 2020 Games may be tricky, as the metropolis today has little space available for major new infrastructure projects. But a new subway line and an expansion of Haneda airport are some of the projects being pitched for development over the next seven years. “There is no doubt that things will start rolling for the better” once projects related to the Olympics move forward, he added. 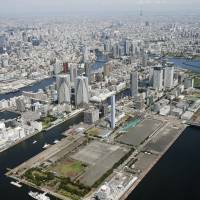 One of the keywords Tokyo rolled out while it was bidding for the Olympics was “compact,” as the city proposes to fit 28 of the major Olympic venues within an 8-km radius. But in addition to the 13 million residents the city now is home to, estimates forecast somewhere in the region of 10 million visitors will arrive in Tokyo to attend the event. A major makeover being considered by the government and the land ministry will include both Haneda and Narita airports. According to the ministry, a panel is to meet within this fiscal year to discuss feasible ways of increasing the capacity of the two facilities, including the possibility of building a fifth runway at Haneda and easing restrictions for takeoffs and landings at the two international airports. Improving access from the two airports to the downtown area, which has long been an inconvenience for travelers, is also being discussed. Under the latest blueprint, a subway station tentatively named New Tokyo will be build in the Marunouchi area. A new rail line going through it will connect Sengakuji and Oshiage stations, effectively shortening the time it takes to get from Haneda to the heart of Tokyo from over 30 minutes to just 18. The journey from Narita to central Tokyo will also be less time-consuming, taking less than 40 minutes compared with the current 50 minutes or more. In regards to transportation in the city, building a new subway line in southeast Tokyo, where many of the Olympic events will be held, is being discussed. “We are going to make Koto Ward the ‘Olympic city,’ ” ward, Mayor Takaaki Yamazaki said after Tokyo was selected to host the games. “Our plans for the Hachigo-sen subway will take a huge step forward as well,” he predicted. 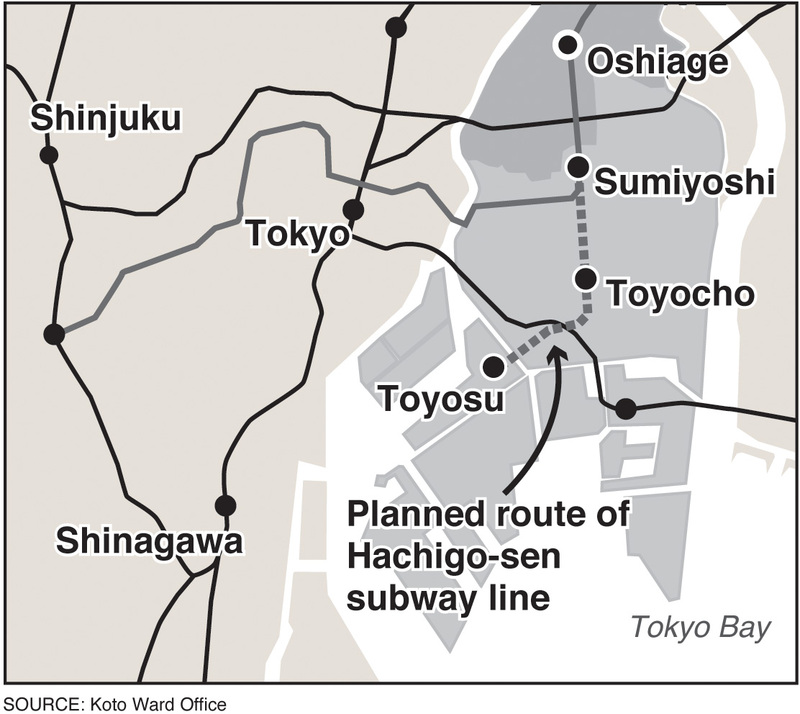 The 5.2-km-long subway line, which will be called Hachigo-sen (No. 8 Line), was under consideration even before Tokyo was named the host of the prestigious event. 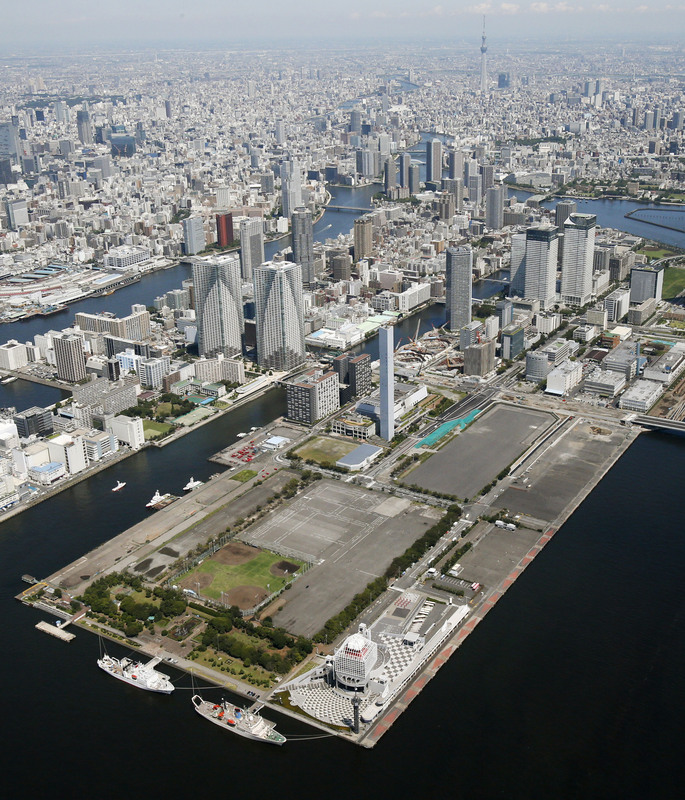 It is scheduled to connect Toyosu Station with Toyocho Station and head north to Sumiyoshi Station, thereby providing new access routes between northern and southern Tokyo.The plan has been around for years, with the waterfront area known for having easy access from the east and west but lacking any routes from north to south. The trip from Sumiyoshi to Toyosu will be halved to less than 10 minutes once the line is complete, the ward said. Yet, while the to-do list keeps growing, pundits warn the price tags for many of the projects cannot be ignored. 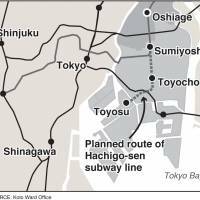 For example, construction of the Hachigo-sen subway line is expected to cost ¥120 billion, according to Koto Ward estimates. Building the New Tokyo station to connect Haneda with Narita, meanwhile, will cost about ¥400 billion, some say. Lack of time is also a problem. Although 2020 would have given Central Japan Railway Co. the perfect stage for launching its state-of-the-art maglev train, President Yoshiomi Yamada has ruled out the possibility as impossible. Land minister Akihiro Ota said Sept. 17 that the process of digging just the tunnels for the maglev route between Tokyo and Nagoya will take at least 10 years. Tokyo is also already crisscrossed with 13 subway lines and about 300 stations, not to mention the complex underground levels of high-rise buildings across the city. Dodging such areas or digging deeper to avoid obstructions will add more money and time to vast projects like the Hachigo-sen subway line. In that case, starting a new bus service between the Ginza shopping district and the Olympic venues appears to be the most cost effective and feasible plan. The so-called Bus Rapid Transit will use buses that can carry over 100 people at the same time. So far, Chuo Ward, which will be the main entity running the project, seems to be in the early stages of development and has not revealed the specifics of the BRT plan. Reports say there could be about 600 shuttle services a day between Ginza, the Olympic venues and the accommodation sites where the athletes will stay. Constructing a new loop route connecting the Toyosu area with Minato Ward has also been raised as a possibility. As spending on reconstruction in the Tohoku region starts to wind down two years after the 2011 megaquake and tsunami, hosting the 2020 Olympics gives the government the perfect excuse to keep pumping cash into public projects. But Hisashi Yamada, chief economist at Japan Research Institute, advised the government not to be swayed by the momentum and not to embark on a spending spree without considering the outcome. According to a report by JRI, 25.5 percent of Tokyoites will be 65 or older by 2020, compared with 21 percent in 2010. By 2035, it has been estimated that that age group will make up 30 percent of the capital’s population. Since Tokyo is also expected to experience a population drop in the years after 2020, investing in compact and efficient buildings and infrastructure, complete with barrier-free designs, should be one of the main goals, Yamada said.